The month of August has been coined “National Hair Loss Awareness Month”. Nearly 40% of women between the ages of 18 to 65 will experience either hair loss or thinning in their lifetime, and that statistic spikes to 60% once women reach the age of 65. Having a National Hair Loss month is a great way to bring awareness and comfort to all of those affected by hair loss. Hair loss can happen at any point during life and can be caused by things as common as stress and pregnancy, and other pre-existing conditions like alopecia. Your job, family, and friends can all make you want to pull your hair out at times, and with the additional pressures women endure in society, it’s no wonder stress can manifest through hair loss. Either way, experiencing hair loss is an emotional journey, but know you are not alone. Millions of women are struggling with hair loss, and National Hair Loss Awareness Month gives us the opportunity to speak out, share our stories and come together. With the countless hair regrowth products on the market that claim to regrow hair, deciding on the best solution can be difficult. Over a million women have trusted Keranique to help them along their hair regrowth journey. 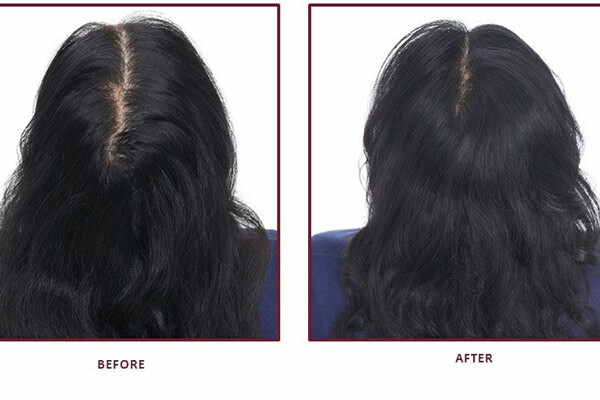 Keranique Hair Regrowth System contains Minoxidil, the only FDA approved ingredient proven to regrow women’s hair. It is time to stop letting your hair loss control your life, and time to take control of it. Not only can our hair regrowth treatment for women regrow your hair, but you’ll also notice it will thicken, strengthen and add volume to your hair. Live your best life by regaining your confidence and regrowing your hair. Take control of your hair loss today with Keranique.